Candidates can apply online for the released CCS HAU Recruitment 2018 here from this page. Also, the officials of the Chaudhary Charan Singh Haryana Agricultural University (CCS HAU) decided to fill up the applicants for the 334 School Teacher (English), Primary Teacher, Instructor (Dress Designing), Training Assistant (KVK), Training Assistant, Senior Technical Assistant (Agril. Engg., Entomology, Soil Science, Plant Pathology, Plant Breeding, Agronomy), Computer Programmer, Section Officer/Junior Engineer (Civil), Section Officer (Horticulture), Technical Assistant, Road Roller Driver, Auto Electrician, Surveyor, Tubewell Electrician, Mechanic (Ref. & AC), Mechanic (Instruments), Mechanic (Turner), Mechanic (Fitter)Turner, Clerk, Steno-Typist, Lab Assistant, Meteorological Observer, Library Attendant, Saw Operator, Photographer, Jeep/Car Driver, Heavy Vehicle Driver, and Other Posts. So, for that, all the candidates need to apply online between 10th September 2018 and 4th October 2018. 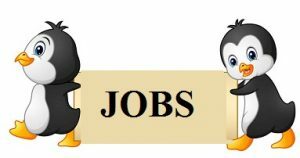 Furthermore, grab all the information given regarding the चौधरी चरण सिंह हरियाणा कृषि विश्वविद्यालय Jobs 2018 in this page. And also, at the end of this sheet, we included the direct link to download the CCS HAU Recruitment 2018 Notification PDF. 1.8 How To Apply For CCS HAU Recruitment 2018? Post Name School Teacher (English), Primary Teacher, Instructor (Dress Designing), Training Assistant (KVK), Training Assistant, Senior Technical Assistant (Agril. Engg., Entomology, Soil Science, Plant Pathology, Plant Breeding, Agronomy), Computer Programmer, Section Officer/Junior Engineer (Civil), Section Officer (Horticulture), Technical Assistant, Road Roller Driver, Auto Electrician, Surveyor, Tubewell Electrician, Mechanic (Ref. & AC), Mechanic (Instruments), Mechanic (Turner), Mechanic (Fitter)Turner, Clerk, Steno-Typist, Lab Assistant, Meteorological Observer, Library Attendant, Saw Operator, Photographer, Jeep/Car Driver, Heavy Vehicle Driver, and Other Posts. Refer Official Notification of the Vacancy information. Educational Qualifications – Those who want to apply for the CCS HAU Recruitment 2018 must check the Official Notification for the post wise abilities. Age Limits – Applying contenders must have the minimum Age as 18 Years and the maximum Age as 42 Years. And for more details stay tuned to our Sarkari Recruitment website of the official site. Scanned copy of Sports Graduation Certificate in case of Eligible Sportspersons. Duly issues by the Competent Authority. Scanned copy of Haryana Domicile Certificate in case of BCA/BCB/SC/ESM/DESM/DFF/PwD and women issued by the competent authority. Self-declaration/ Undertaking in a prescribed format for getting marks under the socio-economic criteria. Any other document, if required, to be uploaded while filling the application form. All the selected candidates under the CCS HAU Recruitment 2018, will get the pay band INR 5200 to INR 20200 from the organization. So, check the official notification for the complete post wise information. चौधरी चरण सिंह हरियाणा कृषि विश्वविद्यालय Selection Process for the CCS HAU Recruitment 2018 will be the Written Test, Social Economic Norms & Experience, Document Verification, Medical Examination. How To Apply For CCS HAU Recruitment 2018? Move to the official website of the Chaudhary Charan Singh Haryana Agricultural University (CCS HAU) @ hau.ac.in to apply for the CCS HAU Recruitment 2018. Click on the Apply Online link and then fill all the details. Attach all the documents to the Online Application form as mentioned earlier. Pay the fee and then download the filled CCS HAU Application Form 2018. Later take out the printed copy of it for further usage.